BE AWARE: If you don't use rockring with integrated spacer (20" bikes with bashplate or some 26" bikes with rockring without integradet spacer) you need to use a freewheel spacer (1mm aluminium ring) between the freewheel and the bashring (or crank arm if you aren't using a bashring). We highly recommend for all freewheels from all brands to rotate them in hands without any presure before instalation. Use oli like WD-40 or GT85 to ensure any excess grease used when assembling the freewheel works away from the mechanism. Inject the oil in to freewheel mechanism and rotate it at least 50x times full rotation. 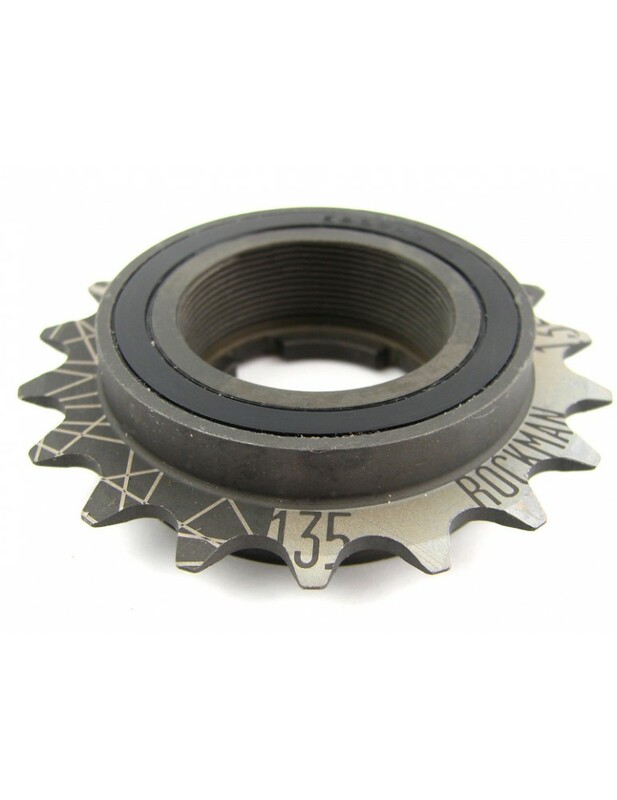 This process will clean the freewheel mechanism and you will get longer life! Repete this proces 1 time per month and you can use this freewheel much longer! Failure to bed the freewheel in correctly will void the warranty!